Maybe it all started when Helga Grassl sewed ski jackets during the early 70’s for their children, Gunnar, Helmut & Christina Grassl? 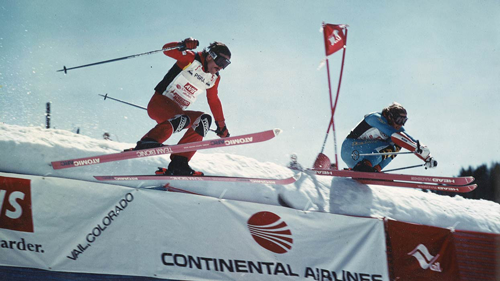 After Gunnar’s long race career, included 4 years in the Swedish national team, and 8 years on the US pro tour, he began importing Spyder ski wear to Sweden. And later to all of Scandinavia and Greenland. 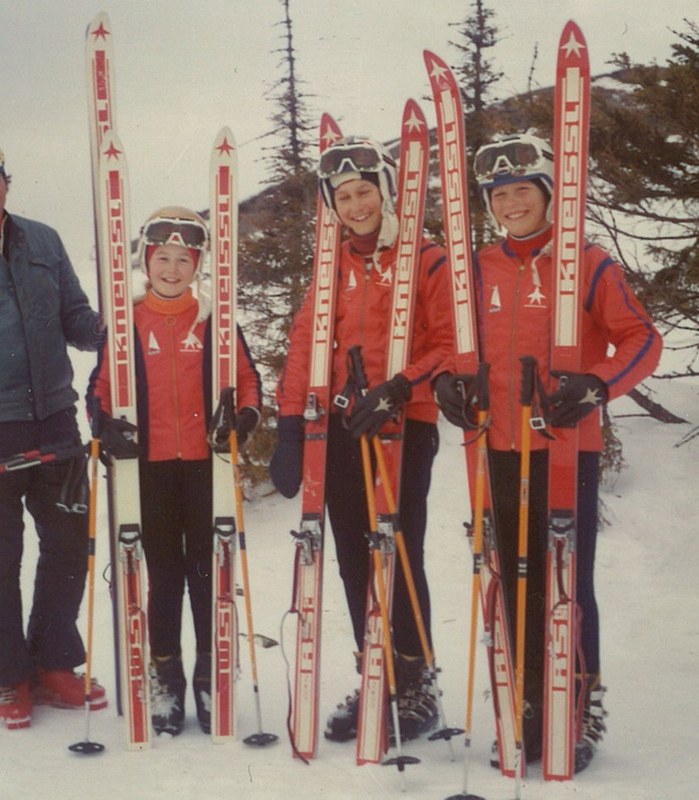 Spyder ski wear was ahead of its time, when functional materials such as Gore-tex had not yet been established, few understood what the Entrant, which Spyder used was and how it could improve conditions for skiers. It was tough to reach volumes so that imports became a profitable business. But Gunnar realized that there was a great need that these garments could fill if one could design a ski uniforms collection where children and adults could be color coordinate and garments could be supplemented for several years. Spyder was initially indifferent to the idea. A year later, when several distributors pressed on, they agreed on starting the Spyder ProGear Team Uniform Program, but did not want to have any part in the production of it. This responsibility fell on Gunnar. And had it not been for him while in the United States having become a partner in a small sewing factory that produced luggage, including the first 250,000 bags for Case Logic and bags to HP’s first portable computers, and through this experience learned the sewing industry as well as screen printing, perhaps ProGear had never been launched. After looking for sewing factories who could sew the garments, and have scanned off both Sweden and Finland, the production ended up in Poland. Bureaucratic and corrupt authorities dragging their feet delayed the start of the sewing factory half a year. Polish customs that did everything to generate problems. Seamstresses had to be trained from scratch, too few of them, and a completely different interpretation of the word “quality”, generated a few problems. “Nordbanken” who backed out when it was time to start up the project. Despite the fact that for a year prior having been in favor of the project. A Polish joint venture partner who had a heart attack when things started to get tricky. Three months behind schedule, and with very poor quality, everything was finally completed. It was a catastrophe and could mean that the order volume could fall back to 2000 or even less in the future. To better situation the factory was running at 25% speed and training quality for several months. Despite concerns, orders increased the following year to 12,000 pieces. Which must be attributed to the fact that no similar collections existed at this time! In the following years, volumes increased steadily, and the range was expanded with race suits, which quickly increased ​​the Spyder race-suit orders from 600 per year to 3000 and 4000 annually (today we still produce 9000 race suits annually for Spyder). In 1999, we discovered that our Polish joint venture partner had began producing his own garments on the side, using our raw materials. It all ended in a lawsuit and a settlement where we under three years successively scaled down production in his factory, and instead moved production to our own newly established B-stedt Polska factory in northern Poland. There we had to start from scratch. This time without a Polish joint-venture partner. Around the same time half of Spyder was sold to an investment firm and the conditions changed quickly for us as a distributor. It was then that we decided to launch our own brand Beyond-X, where “X” would symbolize our competitors that we intended to leave behind! Pretty soon we acquired the – at the time – new digital printing technology. Due to this, we were able for the first time to produce single race suits with their own unique printing design. This too was a “first in the world”. Today 6 such digital printers at times have problems keeping up with customer demand. Race bibs and gate panels have in recent years been a rapidly growing segment thanks to the combination of a sewing and in-house textile printing capacity, which enables us to be very fast and efficient. Since we started to produce these items they have gone from rather plain to designed ones. We have been instrumental in this change. This has in turn attracted other sports that have become aware of our bibs, that are now spreading outside the alpine sport. Since 2009, the factory has also served as European hub and warehouse for American Break-A-Way (BAW) slalom poles, nets and accessories. These products have proven to be of the same quality and functionality as our Beyond-X range, and therefore a perfect complement to our business. It has also led to the development of new products that are required printing and / or sewing. The latest development is that our outlet store in Håkanbol, Degerfors Sweden has gotten a facelift, and the range of products been extended with youth HEAD skis and boots. Since before we already sell Hestra racing gloves and are now one of only a handful “HESTRA Authorized Alpine Racing Glove Dealers”. Also Komperdell poles and shin guards, as well as Holmenkol ski waxes and accessories are included in the offering. Our goal is to offer some of the best products on the market, at affordable prices, so that more people are able to afford and enjoy alpine skiing.